Often one of the first indicators that a woman is expecting is a change in her palate – either she wants more of some foods or nothing to do with any of them. I lucked out with my first pregnancy and just had lots of cravings, but not any illnesses. The second time around I went in stages. I could have 2 great days and 5 terrible ones. The baby, I would say, was very particular. So much so, I couldn’t even walk through a food court without running to the bathroom. There was no rhyme or reason to what set me off, but it always ended the same way – with my head in the toilet. And try as I may there was nothing I could do to quell my stomach. Sickness for weeks on end can really debilitate a mom-to-be. Sucking on ice, drinking lemon water and having sweet candies were a few of the remedies I tried to no avail. Water made it worst and not even dry crackers would stay down. Scientific studies have proved that one of the most effective drug-free treatments to help with sickness during pregnancy is Acupressure on the P6 (Nei-Kuan) point between the two central tendons near the wrist. In the UK, acupressure was first scientifically proven useful for this condition by the late Professor John Dundee from Queens University, Belfast. In the past we have used Sea-Bands to reduce motion sickness while we were cruising. But it didn’t occur to me to try this while I was pregnant! 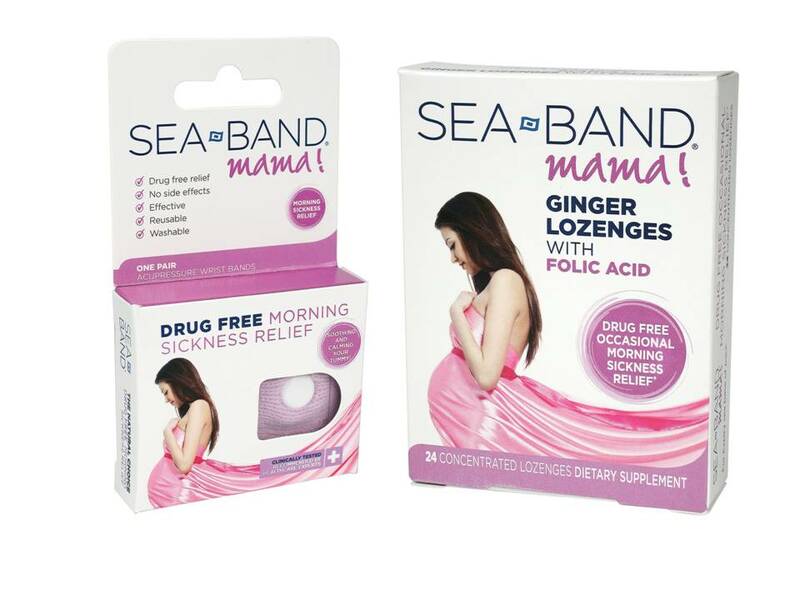 An Italian study, however, found that morning sickness was reduced in 70% of women who used Sea-Bands. The plastic stud on Sea-Bands applies continuous pressure on each wrist preventing or relieving the feeling of nausea. The brand also offers Ginger, Spearmint and Lime Essential Oils to soothe a pregnant tummy, and Ginger Lozenges with added Folic Acid to ease your pain, while providing the vital nutrients that contribute to normal maternal tissue growth during pregnancy.